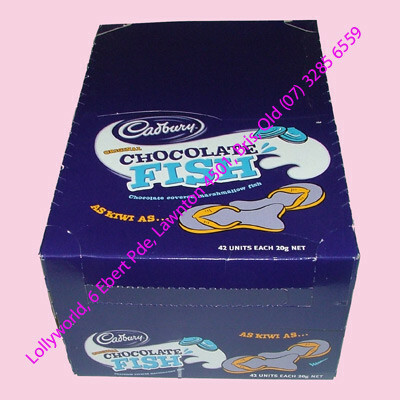 Cadbury Chocolate Fish are a classic New Zealand chocolate. A sweet strawberry marshmallow covered in creamy Cadbury milk chocolate and shaped like a fish. Roughly 13cms long and individually wrapped. Purchase individually or in a box of 42.